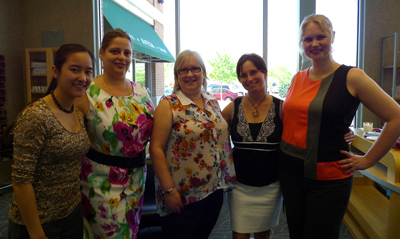 On Wednesday the Network of Entrepreneurial Women held its first Meet and Munch event. 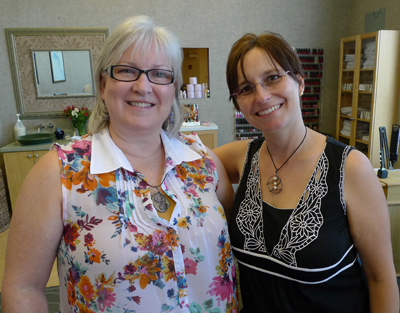 We met at Avalon Spa, located at the Deer Park Town Center. Chief inspirational officer Bonnie Conte greeted us and provided an overview of the Spa. 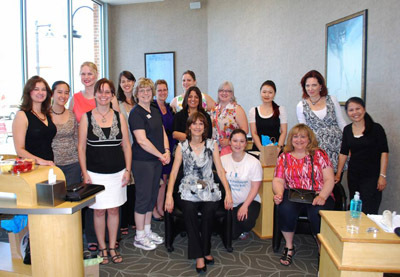 Avalon Spa has been named one of the Top 200 Salons in Salon Today for the last 9 years. A brief tour indicated why. There is a manicure room and a separate pedicure room. The salon has several talented hair stylists and a designated coloring area. As an Aveda Salon, the spa participated in the Guinness Book of Records challenge of providing the most charity haircuts in 24 hours. The true experience, however is in the Spa area. Here, one can have a private pedicure experience for two in a cozy separate room. 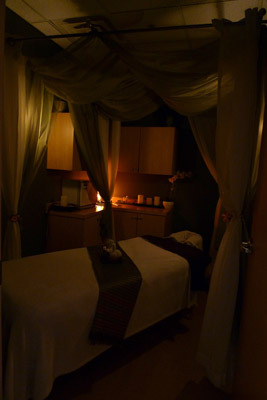 Pairs can also take advantage of a couples massage in a designated room. In addition to several other massage rooms, there is a designated Thai Massage space, where I wanted to lay down right away. Bonnie pointed out that men are pampered just as much as women, and tend to opt for the private pedicure room. You could see her beaming with price as she introduced the staff, services and facilities to us. I love a spa that has a positive ambiance as well as aesthetic appeal, so I’m eager to book a spa day here (which would include a facial, massage, spa mani-pedis and optional shampoo and style). After our tour we were treated to mini-hand and neck massages, which certainly made my wire-bending muscles happy. 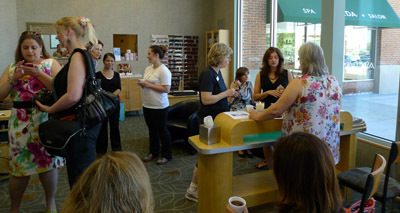 Our group mingled with Aveda tea and small snacks. Business synergies were discovered, connections made, and spa appointments booked. We left happy to have met such wonderful, positive like-minded ladies. It is always good to see my customers wearing my Maraviglia. Here is Wollgras, and one of my new creations, Three Pearls of Wisdom. 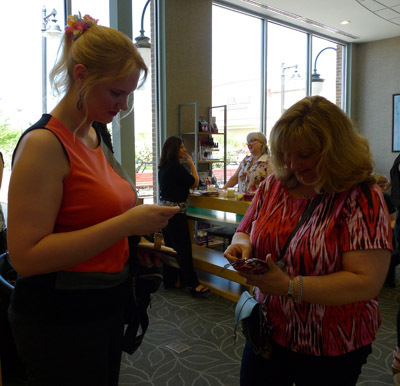 We eagerly anticipate the upcoming Wine Women and Wellness event at the Swap Shop Resale Boutique at 484 Main St., Glen Ellyn the evening of May 30 (6-8 pm).